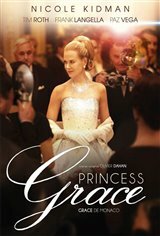 A film about legendary Oscar-winning actress-turned-princess Grace Kelly (Nicole Kidman), who gave up her Hollywood career when she married Prince Ranier of Monaco (Tim Roth) in April 1956. This film takes a look at the period of time in her life from December 1961 to November 1962. She played a major role in helping her husband settle a dispute against France over tax laws in the 1960s. Later, in 1982, she suffered a stroke while driving. The car went off the side of the road and down a mountain. Grace was pulled alive but unconscious from the car, then died the next day at the Monaco Hospital, which has since been renamed The Princess Grace Hospital Centre.